Calla is the alpha female of a shape-shifting wolf pack. She is destined to marry Ren Laroche, the pack’s alpha male. Together, they would rule their pack together, guarding sacred sites for the Keepers. But then, Calla saves a beautiful human boy, who captures her heart. Calla begins to question everything – her fate, her existence, and her world and the orders the Keepers have asked her to follow. She will have to make a choice. But will she follow her heart if it means losing everything, including her own life? I have a special kind of love for supernatural creatures. Dragons, phoenixes, werewolves, vampires, oh my! 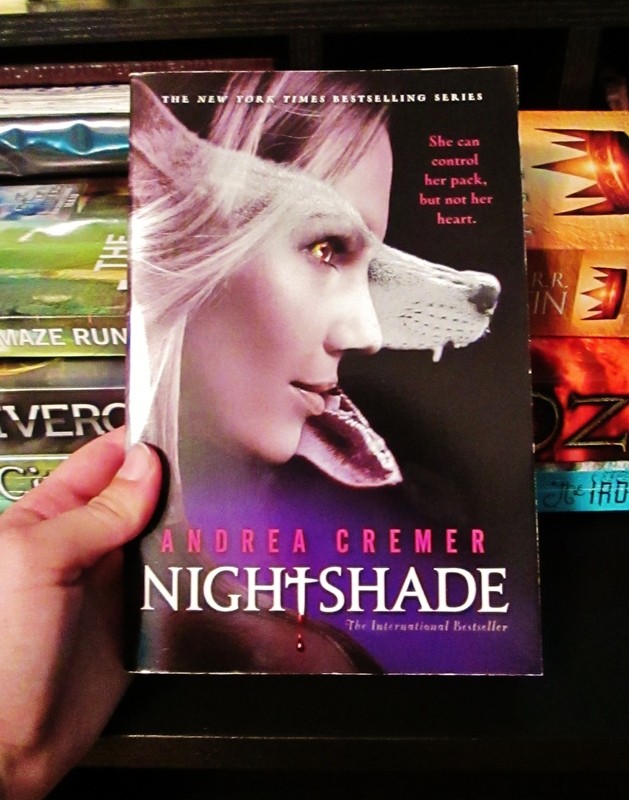 I was even more excited to learn that this was a book about a female, ALPHA, werewolf. I mean…hello! I could not read this book fast enough. I should warn you now, this review will consist mostly of a rant about love triangles, but I’ll try and include other literary critiques first…woooosaaaaah. So this book dealt with historical references intermingled with supernatural mythology. The werewolves and their ‘Keepers’ are slated above humans and the humans know it. It was interesting to see the werewolves dominating the social hierarchy of high school when typically they would have to hide their existence, not flaunt it. I also loved seeing the pack mentality between the wolves, as well as their magical healing capabilities and telepathy. Prepare yourselves, I’ve tried to edit this rant into as many coherent sentences as possible but, a girl can only take so much. Time to talk about the love triangle. I am so, sick, of love triangles in literature but more specifically young adult literature. Why…are they in books so much? I think I’ve only encountered a true ‘love triangle’ maybe twice in real life situations and relationships. I just don’t get it and I want it to stop. I don’t want to pick sides, I want to be able to enjoy the relationship between one guy and one girl, or one girl and another girl, or one guy and another guy…you know what I mean. Two’s a relationship, three’s a slutty crowd! Anyways… I love Ren, the male alpha of the sort of rival pack. I mean, the chemistry between Ren and Calla (the female protagonist) was immediate, smoldering, and made me want to curl up and weep it was so perfect.But no…our protagonist falls for Shay, the mostly human, curious, new boy in town. I understand that she is rebelling against the system and the rules because her and Ren have been paired since birth, but come on. I felt nothing when I was reading the scenes between Calla and Shay and would roll my eyes every time she said she was thinking about Shay while she was with Ren. I mean…seriously? Ren may have been a buttface on more than one occasion but look at this family history, the pressure he’s under, and how hard he tries to put up a front so she doesn’t she how far he’s already fallen for her. I just…can’t understand it. Why must there be love triangles? I’ll try and contain my feels for the rest of the review, I promise. The plot was interesting enough that I’ll definitely come back to this series and read more, but I did find myself bored with the ‘research’ scenes. The book basically revolved around critical research, which might have worked in a movie but lacked the right amount of entertainment through form of written word. I’m very interested to see where the plot takes us in the next novel, who is on what team, who should they trust, and what the heck is actually going on! I will say that parts of the novel were predictable, but I finished with way more questions than when I started. Stop with the love triangles. I’m begging you authors. Make. Them. Stop. Other than that I enjoyed this book and have so much hope for the next novels in the series. There are so many questions I want answered, so much to learn about this world and the societal structure between the werewolves and those who control them. I read this book in two sittings, roughly 200 pages at a time. I literally flew through it and can’t remember the last time I devoured a book like that. I was so invested in the story and the feels I got from reading it that I had to give it a 5. Thanks! And thanks for taking the time to check out my review.